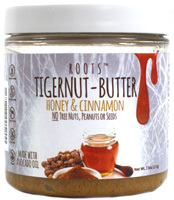 Highest Fat and Lowest Carb content of any nut! Raw and sprouted. High in Magnesium, Thiamin and Manganese. sprouted pili nuts, organic coconut oil, organic turmeric, organic ginger, organic cinnamon, redmond ancient seal salt, organic black pepper. 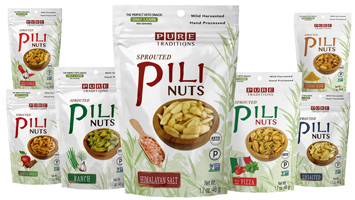 Pili Nuts (pronounced “Pee-Lee”) are nature’s perfect nut, and especially well suited for low carb and ketogenic diets. They contain the highest amount of beneficial fats (as well as the lowest carbs) of any nut, and are high in Magnesium, Vitamin B-1 and Manganese. They also happen to be incredibly delicious, and the high quality fats will help keep your brain and body well fueled while also keeping hunger in check. Pili Nuts are revered in Maritime SE Asia but still largely unknown elsewhere. 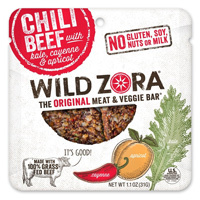 Pure Traditions is pleased to share this delicious and healthy little secret with you!